Their destination was Marble Arch, London. More specifically, room ‘Adjust’ within the exquisite function centre we’d hired for the event. 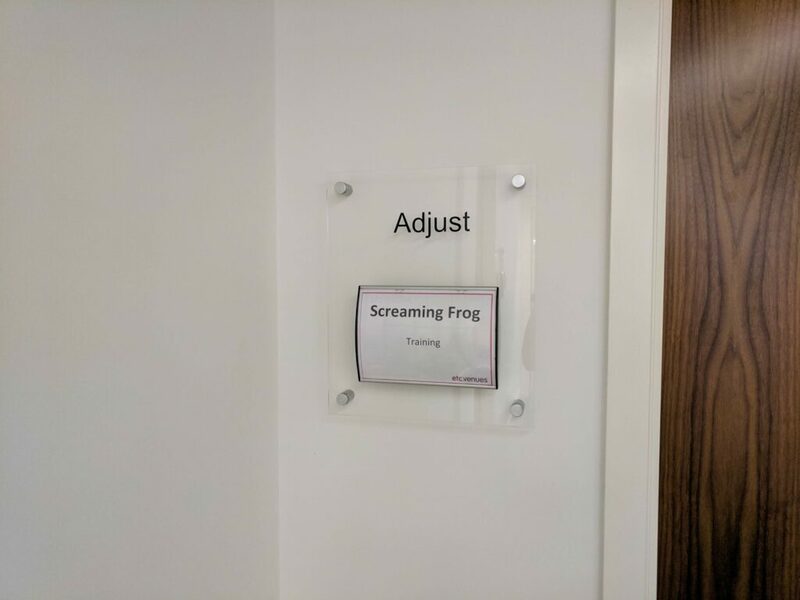 Other rooms on the same floor were named: ’Accept’, ‘Action’, ‘Affirm’, ‘Assume’, and ‘Agree’; So positive vibes (and jokes about adjusting crawl speed) were felt throughout the day. Veteran SEO Frog and all-round nice guy Charlie Williams was our expert for the day. Charlie’s day was targeted towards intermediate users who knew how to crawl sites, but wanted to get the most out of the plethora of extra features the SEO Spider ships with after nine years of continuous development and improvement. (Spoiler Alert!) 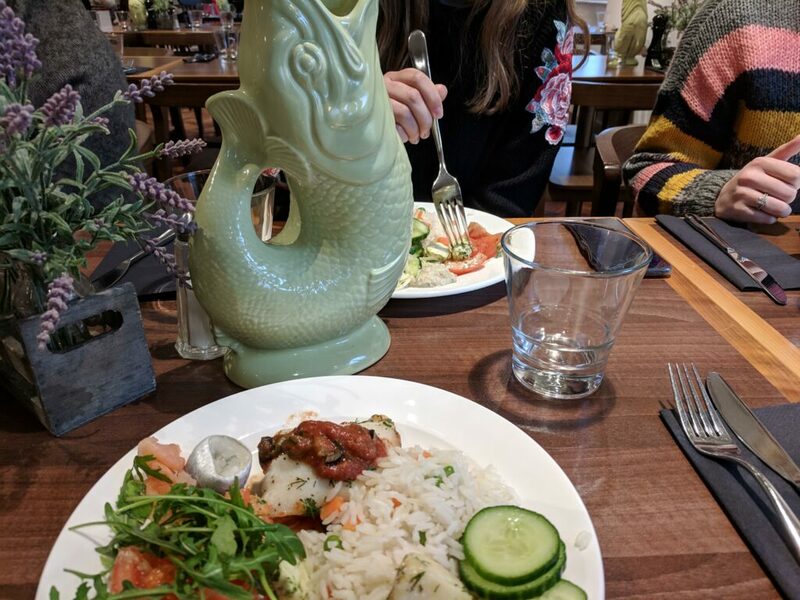 For more specific details on what was covered, Ian from Venture Stream who attended has put together this great roundup. Another added bonus was a helping of branded swag to take home- bottles, pens, notebooks, and those illusive SF stickers that everyone wants for their laptops. • Of those surveyed, 88% rated the day as either ‘very good’ or ‘excellent’. • 88% of those surveyed felt that the event was at the right skill level for the audience- something we were very keen to get right! 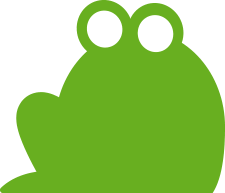 If you consider yourself a budding technical SEO, and you want to gain total confidence using Screaming Frog’s SEO spider then you’re in luck. Our next training event will be on the 18th of March in London. You can get an early bird ticket here, though act fast, as our first event sold out quickly and we have very limited spaces! 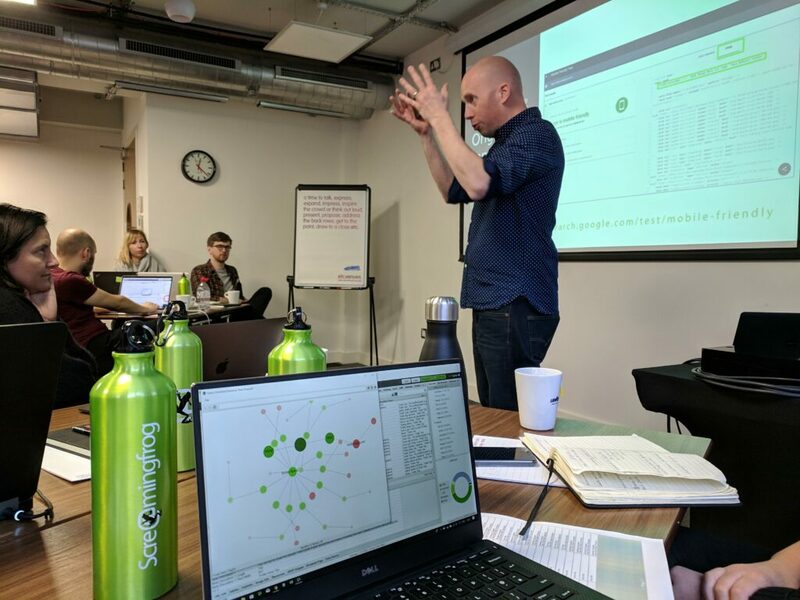 We’re also open to running more bespoke inhouse training events, if you have an internal SEO team, or you’re an agency, you’re welcome to pop us an email via support. 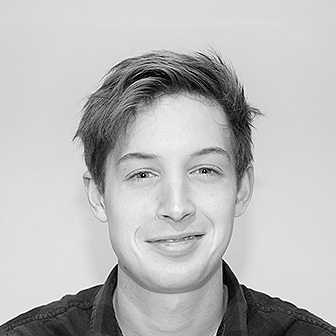 Oliver is a SEO Manager at Frog HQ. He loves creating fun content, solving technical problems, and the camera whenever the Frog Blog needs someone to model giveaway swag. Thank you very much for so amazing information. Are you planning on holding any more training in 2019? 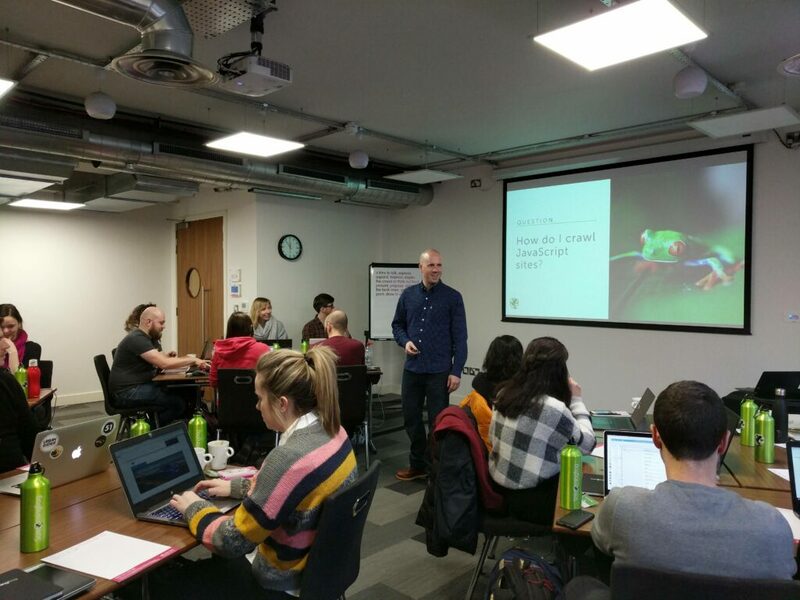 We have the next event planned for the 18th of March in London (https://www.screamingfrog.co.uk/seo-spider/training/), and after that we hope to offer more. But we have no dates or locations confirmed just yet! Will you guys be at SMX Advanced in June?